Beer Wholesaler of the Year: Columbia Distributing Co.
Portland, Oregon–based Columbia Distributing Co. manages growth in the nation’s craft beer mecca. For just about any beer wholesaler in the country, Gregg Christiansen’s problems would be enviable ones. As the chairman and CEO of Columbia Distributing Co., Christiansen runs the largest beer wholesaler in the Pacific Northwest and one of the largest beer houses in the country. Operating in Oregon and Washington—where craft beer claims more than 40 percent of the beer market, according to Christiansen—Columbia Distributing is also quite possibly the biggest wholesaler of craft beer in the country. Columbia Distributing has grown dramatically since its founding 60 years ago in Portland. Christiansen joined the company in 1996 as vice president of sales, following positions at other western beer distributorships, just as Columbia was expanding its scope beyond Portland into other nearby markets. He was named CEO of the company in 2003. Columbia Distributing sold 36 million case equivalents of beer and cider in 2014, up from 34 million cases the previous year. For 2015, the Portland, Oregon–based company projects volume will jump to 39.5 million cases due to organic growth, new brands and expanded territory for Constellation Brands’ beers in Washington. Beer and cider sales revenue for the company increased to $680 million last year from $650 million in 2013. This year, executives expect sales revenue to reach $780 million for beer and cider. Columbia also distributes nonalcoholic beverages. 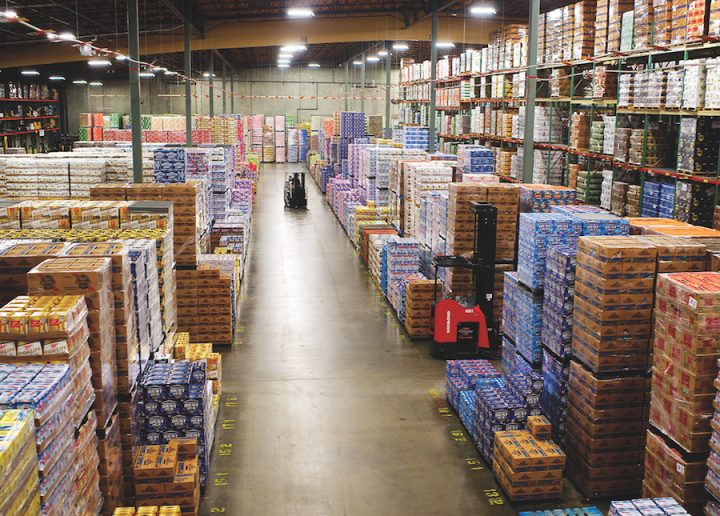 The wholesaler represents more than 100 beer and cider suppliers in nearly statewide territories in both Oregon and Washington, covering some 135,000 square miles. In addition to Constellation Brands, Columbia Distributing represents MillerCoors, Pabst Brewing Co., Heineken USA, Diageo-Guinness and numerous craft brewers, including The Boston Beer Co., Rogue Ales, New Belgium Brewing Co., Deschutes Brewery, Sierra Nevada Brewing Co., Lagunitas Brewing Co. and Full Sail Brewing Co. Columbia Distributing holds a majority share of the beer and cider markets in both Oregon and Washington—64 percent and 61 percent, respectively—and calls on more than 16,000 on- and off-premise retailers in the two states. The company handles about 1,850 beer and cider SKUs. For the last 13 years, Columbia Distributing has partnered with wine and spirits distributor Young’s Market Co. on a shared-services program, comprising delivery, merchandising and warehousing. 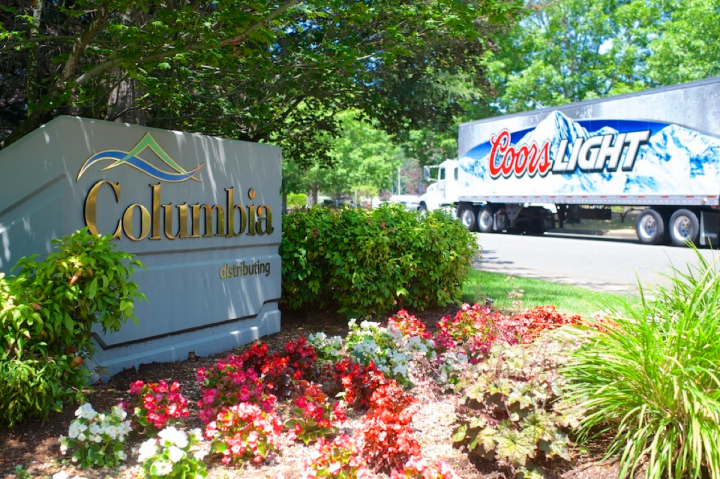 The arrangement allows Columbia to distribute wine to retail outlets like convenience stores, while Young’s handles beer deliveries to fine dining accounts. “It’s a great arrangement and provides much better service for smaller customers,” Christiansen says. With craft beer so pivotal to its business—the company reports that about 37 percent of its beer sales are craft—Columbia Distributing has created a specialty sales team to work with emerging craft beers and imports. According to vice president of craft and imports Jesse Ferber, his department acts as “a communicator and a business planner internally” for small craft breweries that don’t have large sales and marketing operations. He adds that it’s more robust than craft divisions at other distributorships. But Ferber and Christiansen concede that servicing the Northwestern craft beer market also brings its challenges. “The business has become much more complex,” Ferber says. 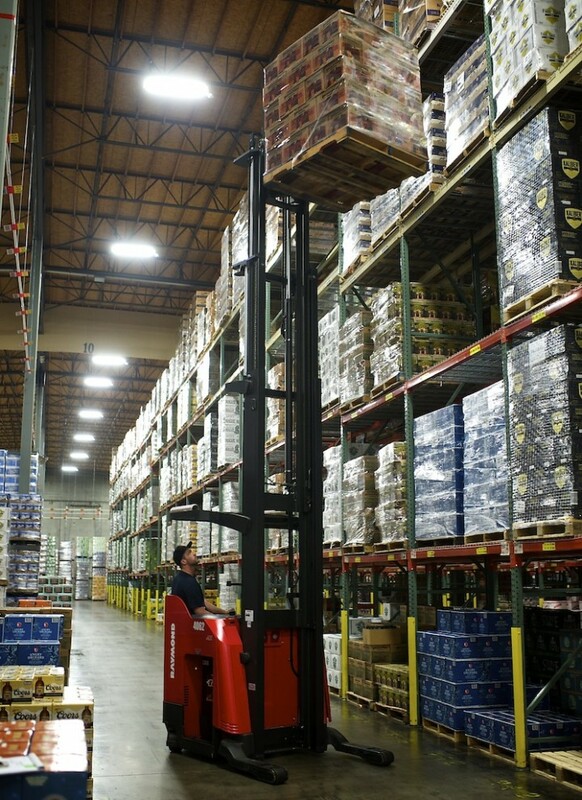 “The average beer distributor has 400 to 500 beer SKUs. We’ve got five times that.” The added inventory has required more warehousing and refrigeration space, and it’s increased merchandising, delivery and servicing duties at retail. As a result, Columbia takes a “tactical and conservative” approach when it comes to adding suppliers and new brands to its portfolio. “We look for white space—brands that are strategically unique to our portfolio,” Ferber explains. 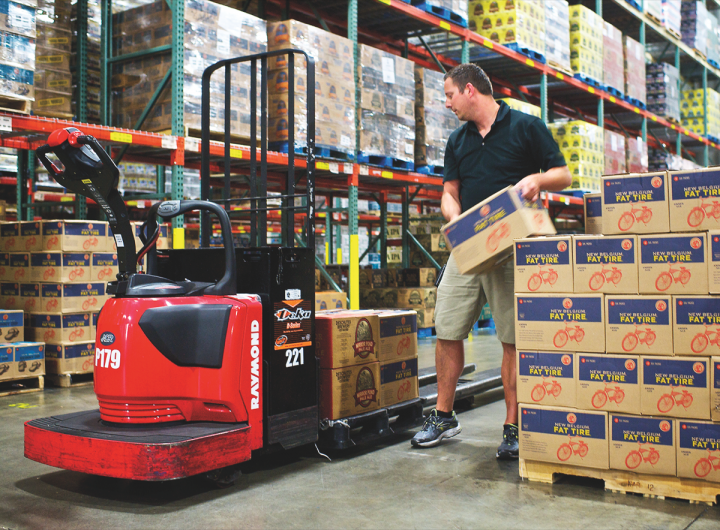 Columbia Distributing’s workforce of nearly 3,000 employees has also been a major contributor to the company’s success. “I enjoy watching our employees grow and develop,” Christiansen says. “Labor accounts for between 60 percent and 70 percent of our costs, so it’s important that we take care of our employees. We keep a very well-trained and happy workplace.” The wholesaler’s staff includes nearly 400 team members who’ve completed the first level of Cicerone certification, with another 20 projected to pass the second level by year-end. Ferber notes that with beer retailers and consumers being so knowledgeable about beer these days, “it requires a much higher level of education for our teams than it ever did.” On- and off-premise retailers are in turn educated by Columbia’s sales staff, where legal. Washington and Oregon share similarities and differences in consumer demographics, geography, retail channel trends and category performances. “Beer consumers in Washington and Oregon are more knowledgeable than in other markets, and we have a younger millennial consumer base than elsewhere,” Christiansen says. For the beer trade, both states are chain-driven, and Columbia has a large chain sales division to call on convenience, grocery, big box and drug stores. Mark Walen, president of Columbia Distributing’s Oregon business, reports that c-stores are the largest channel for the company in the state, led by national and regional retailers, including 7-Eleven, Plaid Pantry and Jacksons. Grocery and big box players, such as Fred Meyer and Walmart, have also been posting strong beer trends in Oregon, according to Walen, who joined the distributorship in 2008. He notes that while the on-premise beer business is struggling nationally, Columbia’s on-premise sales in the Beaver State are relatively stable. In Washington, “trends have been really strong the last couple of years,” reports Chris Steffanci, president of Columbia’s Washington business. Craft beer aside, the No.-1 beer in the state is Coors Light, and sales for the brand continue to grow, along with brands like Pabst Blue Ribbon and Rainier. As in Oregon, c-stores are the largest trade channel for the distributor in Washington, followed by grocery. But Steffanci, a beer industry veteran and former COO of Pabst, says Columbia’s on-premise sales have been growing in the mid-single digits the last few years, driven by craft. “We’re fortunate that we don’t have a channel that’s lagging behind,” he says. While advertising features and displays for Columbia’s beers in groceries were temporarily impacted by the privatization of distilled spirits sales in Washington a few years ago, Steffanci says the change has had no bearing on its business. In fact, he believes higher prices for spirits in the state may be having a positive impact on beer. Similarly, Steffanci and Walen say the recent legalization of recreational marijuana in both states isn’t likely to affect beer sales. 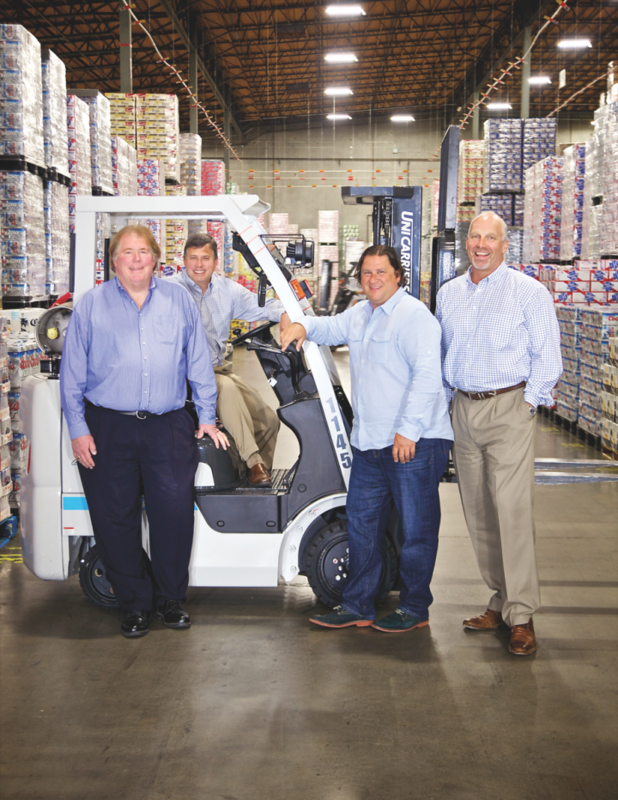 Community is important to Columbia Distributing. The wholesaler supports numerous national and local nonprofit organizations, including the Boys & Girls Clubs of America, Ronald McDonald House and the Oregon Food Bank. “Due to our charity work, Columbia isn’t just perceived as the big guy in Seattle or Portland,” Christiansen says.